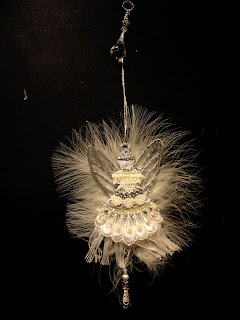 This angel was made with Tim Holtz Carved ornaments #2 and Fanciful Flight butterfly die. 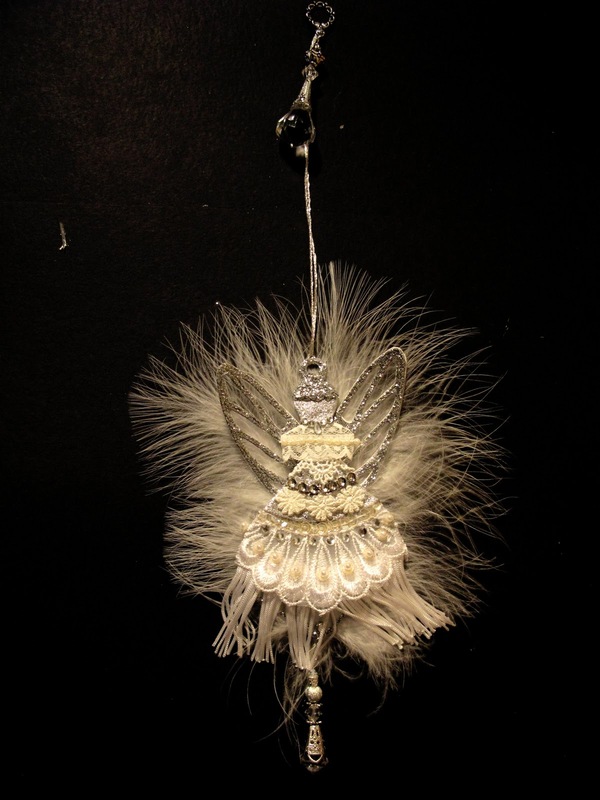 Decorate it with lace, bling and feather. 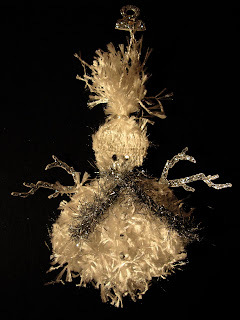 Also used stickles glitter glue. The snow man was made with Tim Holtz Carved ornaments #2 and branch die.